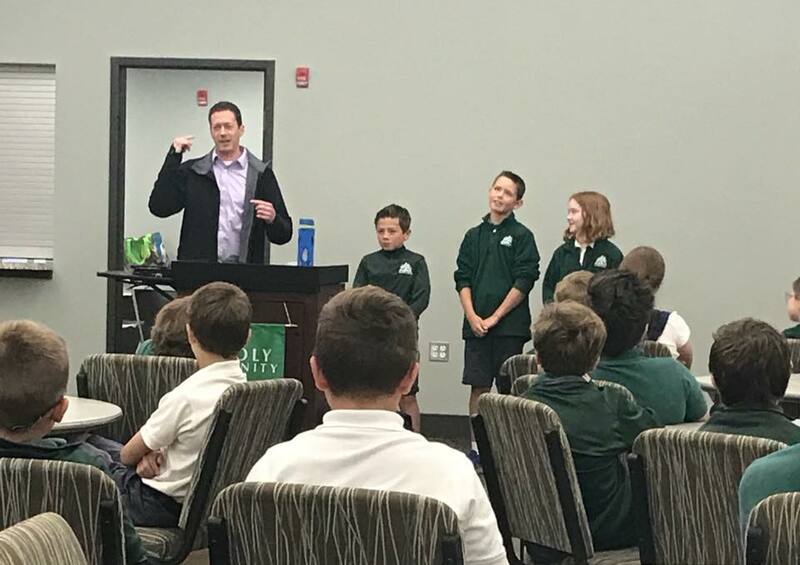 I had a great time presenting to all 4th grade students at Holy Trinity. Thanks Mrs. Thompson! We discussed the Windhollows series for a little while, then spent most of the time learning how the imagination and creative thinking work not only inside the writing process, but also outside it in various careers, such as engineering, architecture, business, and more. We wrapped it all up with some fun creative activities with lots of volunteers. Very smart group of 4th graders! Keep it up Holy Trinity!